Yogurt-like dessert made with flax seeds, truly raw cashews, bitter apricot kernels and a hint of vanilla. The lemony fun for a tangy dessert treat! Start with grinding the flax seeds and cashews. They are the basis of your lemon desserts. 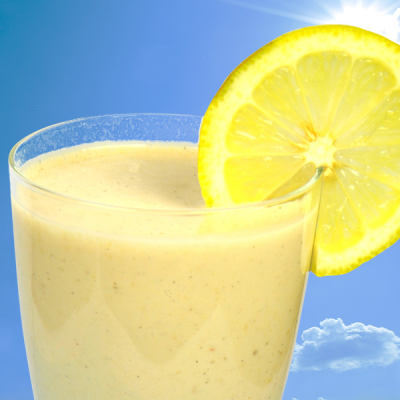 Then add the juice of a lemon, chopped lemon peel, water, bitter apricot kernels and bananas to your blender and mix it with vanilla powder, lemon oil, baobab powder and agave nectar until you get a fine and creamy dessert. Enjoy every moment. Made with love! The given amount serves 2.